Hi! 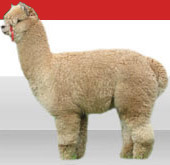 We are acting as agent for some of the Gondwana Creative Kits range - still made in Dunedin, New Zealand. Only a few of the kits are currently available and product details follow. Give the Gift of Creativity - with Gondwana Kits! Order though our shopping 'Add to Cart' facility - larger volumes available at the bottom of this page! Autumn Special! Paper Marbling Kit is ideal for Scrapbooking - it is much cheaper to learn techniques for decorating your scrapbook papers than buying them from a retailer. 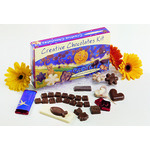 Genuine Kits from Gondwana Kits - the Creative Chocolate Making Kit did RRP for $17.95. Lots of fun and carefully directed instructions - includes a number of moulds suitable for making your own chocolates, cake decorations or craft presents for nanny and mum! Autumn Special! Original kits from Gondwana Kits. RRP was $19.95 per kit! Autumn Special! Gondwana Kits - Paper Flower Kit. Great as a presents or to make a large bouquet of everlasting flowers! Great party gift! Genuine Kit form Gondwana Kits - the Paper Flower Kit did RRP for $12.95 and makes at least 10 designer blooms in each kit box! Autumn Special! 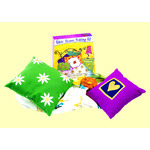 Gondwana Kits - Fabric Painting Kits with Bandana included. Great for learning the skills of decorating your own tee-shirts, clothes, pillows and curtains. Genuine Kit form Gondwana Kits - the Fabric Painting Kit - with Bandana included as well as comprehensive instructions and designs. Genuine Kit from Gondwana Kits - the Fabric Screen Printing Kit did RRP for $34.95 and makes a bundle of designs for tee-shirts, pillow-cases, curtains and clothing designs. 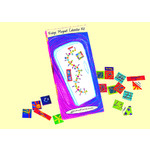 Fridge Magnet Kit - Genuine Kits from Gondwana Kits. Lots of fun and carefully directed instructions. Fridge Magnet is well-made and has a variety of messages as well as an all year calendar - will last forever! Party Box - Paper Flower Making Kit - 11 kits! 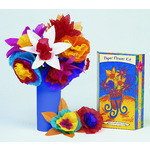 Gondwana Kits - Paper Flower Kits - box of 11 kits. Great as a presents or to make a large bouquet of everlasting flowers! Genuine Kit from Gondwana Kits - the Paper Flower Kit did RRP for $12.95 and makes at least 10 designer blooms in each kit box! Price is for 11 kits in a box. Gondwana Kits - 3D Card Kit - box of 12 kits. Original kits form Gondwana Kits. RRP was $19.95 per kit! Great as a party give-away! 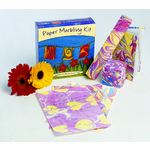 Gondwana Kits - pack of 6 Paper Marbling Kits. Ideal for Scrapbooking - it is much cheaper to learn techniques for decorating your scrapbook papers than buying them from a retailer. Fabric Screen Printing Kits - box of 6 kits. Great for designing a variety of cotton-based garments and home items. 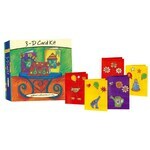 Genuine Kits from Gondwana Kits - the Creative Chocolate Making Kit (Party Pack: 12 kits in box); RRP per kit was $17.95. Lots of fun and carefully directed instructions - includes a number of moulds suitable for making your own chocolates, cake decorations or craft presents for nanny and mum!